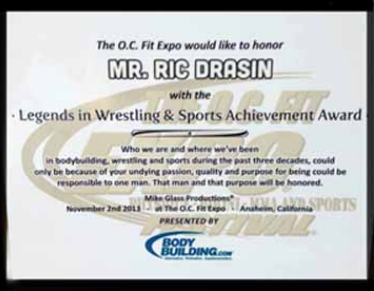 Ric Drasin started training clients in the mid 60's when he ran a chain of health clubs. He also taught diet and fitness classes atthe YMCA. Later on he moved to Venice and worked out with Arnold Schwarzenegger at the famous Gold's Gym for 4 years along with trainer Joe Weider. 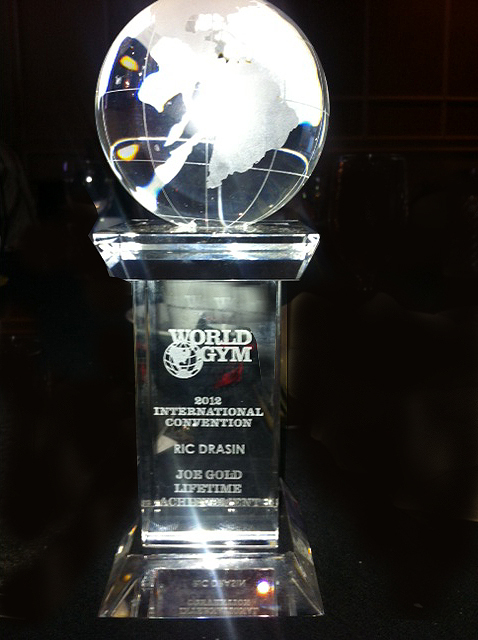 At that time Ric designed the famous Gold's Gym Logo and later on the World Gym Gorilla which are both part of massive mobile marketing campaigns. During that time he wrote articles and posed with products for Joe Weider's Muscle & Fitness magazine. Invest in this drawing now, each one is hand done and no two are exactly alike. Ric has one of the most popular Youtube Channels! 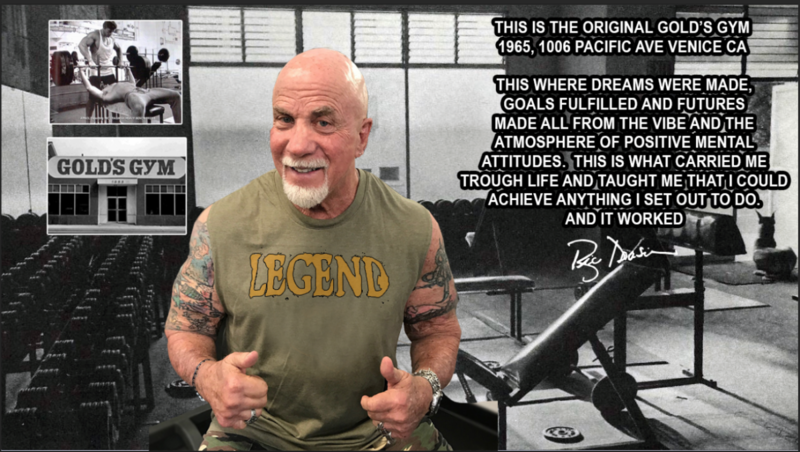 It is called Ric's Corner..."Everything you always wanted to know about old school bodybuilding." Here is one of the episodes with his friend and WWE legend Steve Austin! Ric constantly adds new videos and has amazing guests! 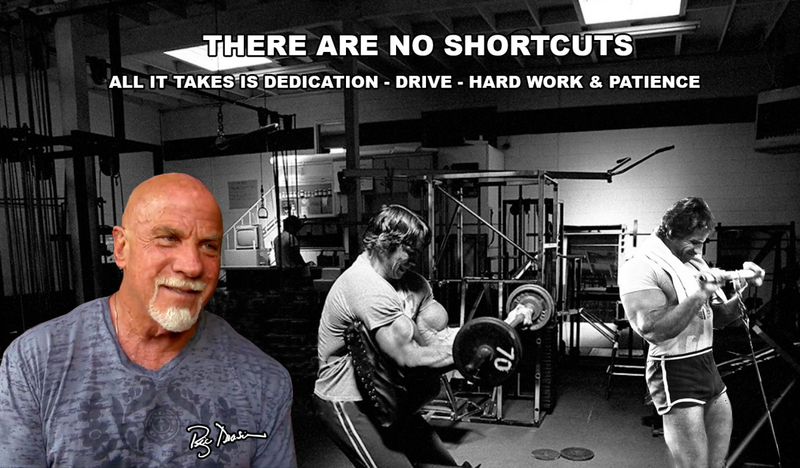 If you like bodybuilding, you will love Ric's Corner! Ric's Corner is a world of information on wrestling, old school bodybuilding, diet, relationships in gyms, etc and now has 30 million viewers and growing. One of the most popular channels on You Tube! Also Ric Drasin Live on The Stream.TV with celebrities. 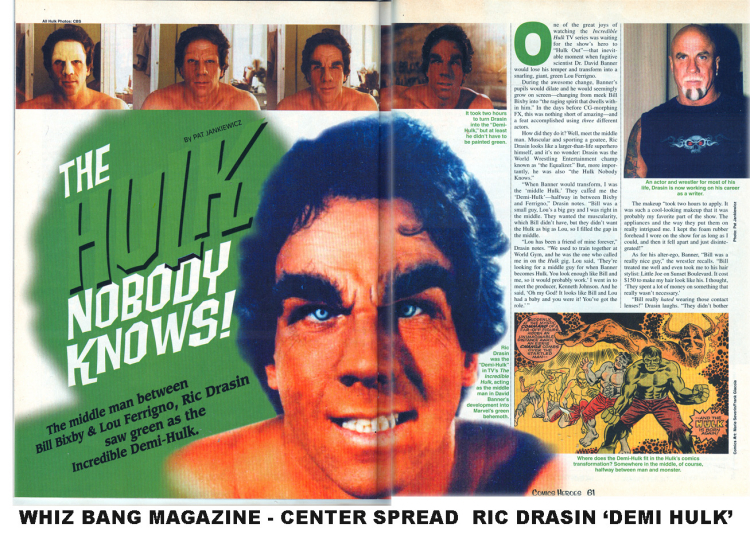 Ric later joined Lou Ferrigno on the Incredible Hulk TV Series as the Demi Hulk (Middle Hulk) which became a cult favorite.Though he won a few bodybuilding titles, Ric turned to Pro Wrestling as 'The Equalizer' becoming a heavyweight champion and made a huge name for himself in federations such as WWE,WWF,CCW,NWA,AWA, and more Indy Feds, also doing many TV Commercials and Films. 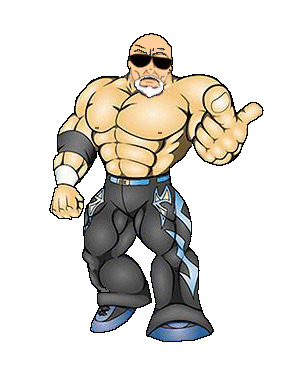 Ric also works as a consultant and wrestling coordinator for many TV shows and donates his time in his ring via the Police Dept for underprivlege teens who want to learn some basics in the ring. Ric, now being retired, He shoots videos in the ring to share with those around the world who don't access to learning so that they can learn the right way and also writes fitness and nutrition articles for Bodybuilding.com Muscle&Fitness.com and RXMuscle.com as well as many more publications. 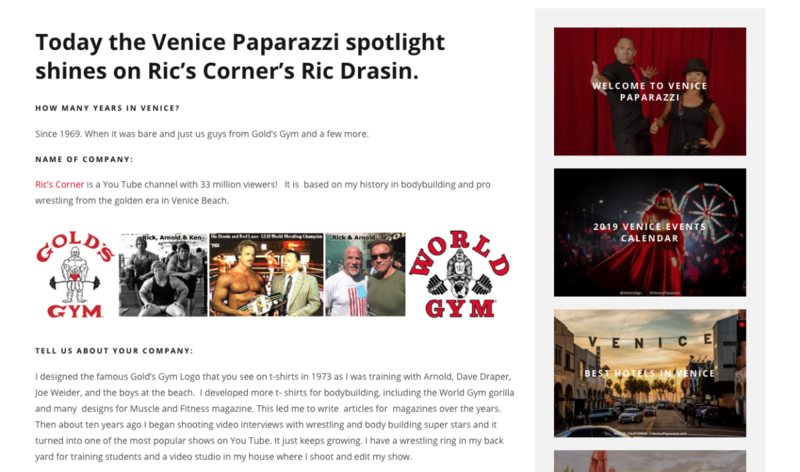 Ric Drasin, personal trainer to the stars and former WWF Pro-Wrestler ("The Equalizer"), has been involved in bodybuilding and Pro Wrestling for more than 40 years. 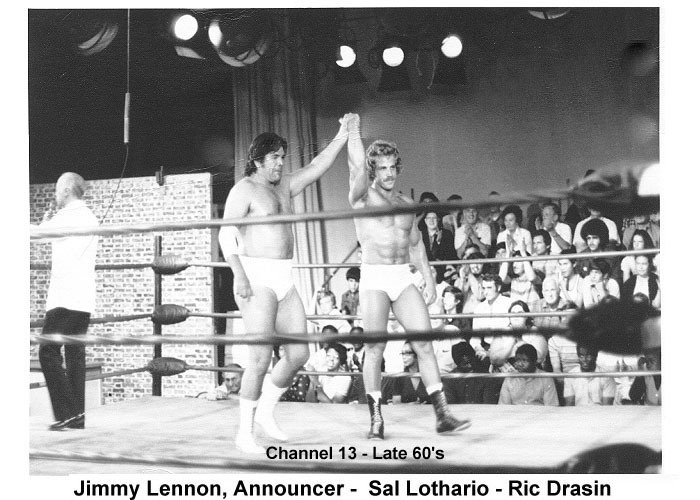 In the 70's, Ric trained with Arnold Schwarzenegger and many other bodybuilding legends. 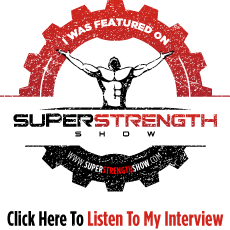 Each month, he'll share his opinions and experiences about serious bodybuilding. His book to be out now, THE TIME OF MY LIFE on Amazon.com and Barnes and Noble. A great 'autobiography', including all his travels on the road wrestling, experiences with Arnold, Lou Ferrigno and a never released story on the 5 owners of Gold's gym and all the characters involved in the mobile marketing campaign that made it what it is today." Joe Gold Lifetime Achievement award.